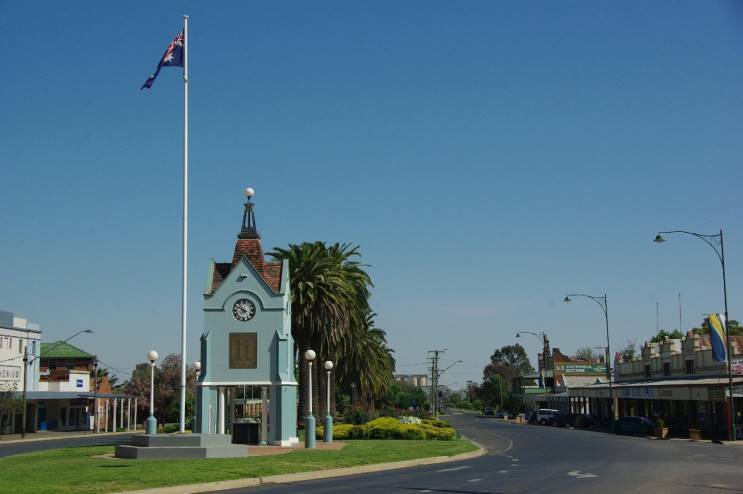 The Junee War Memorial Clock, located in Junee, NSW, Australia not far from the Long Tan Memorial. 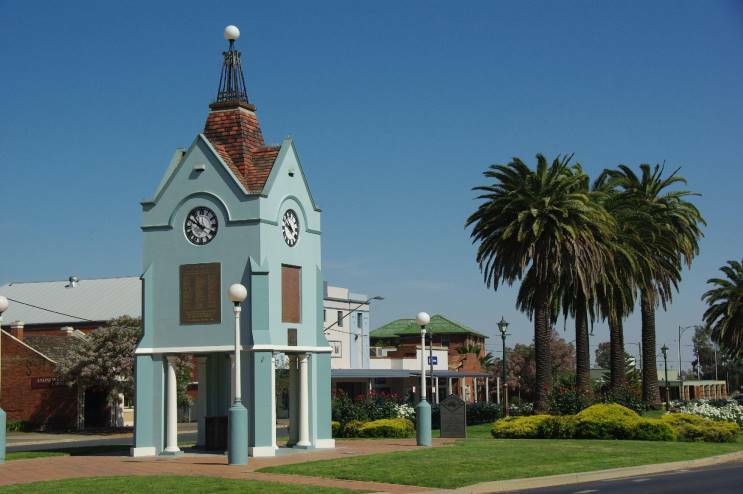 The clock was built as a memorial to all local area residents who served in the Great War. 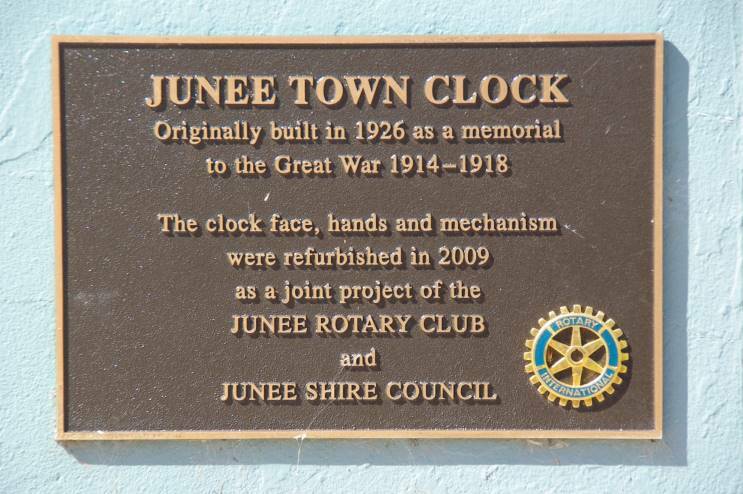 Bronze plaques on each side of the clock list the names of the service members.